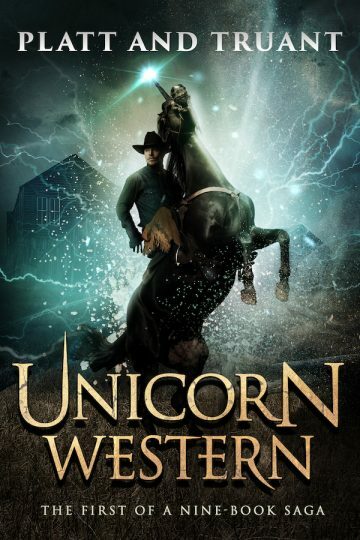 Cast out from the magical kingdom of The Realm and into the dying desert of the Sands beyond, Marshal Clint Gulliver and his unicorn Edward have finally found peace in the small and dusty town of Solace. For the first time since leaving The Realm, Clint has dared to be happy, getting hitched to his bride to be, Mai. But when the town faces a deadly approaching enemy, the gunslinger feels compelled unholster his seven-shooters to face it… and the dark magic it brings with it.